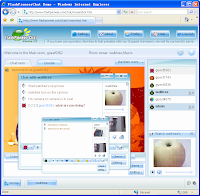 Flash Video Chat is an easy installed and operated chatting tool. It helps you build your real-time video community. It is easy to be customized and personalized for its database integration & multi-servers support features. Within a few steps, Flash Video Chat can be expanded to online conference system, dating community, or session meetings. 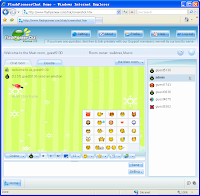 Users can chat with each other privately with video/audio function in the private chat window.